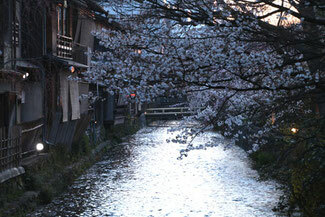 A row of cherry blossom trees along Gion Shirakawa. Not cherry-blossom viewing ..., you can stroll around while enjoying a cherry tree. The cherry tree which bathed in sunlight is beautiful, but the going to see cherry blossoms at night is good. 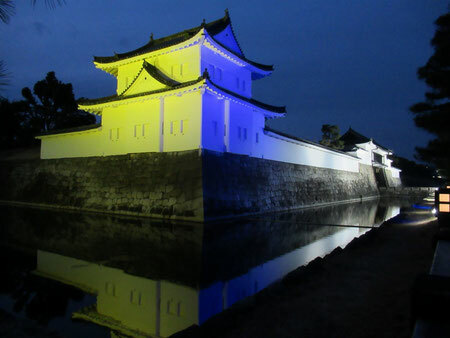 Here is the luxurious time that you are filled with deep emotion elegantly of Japanese poem. You may meet a maiko, a geisha if lucky.